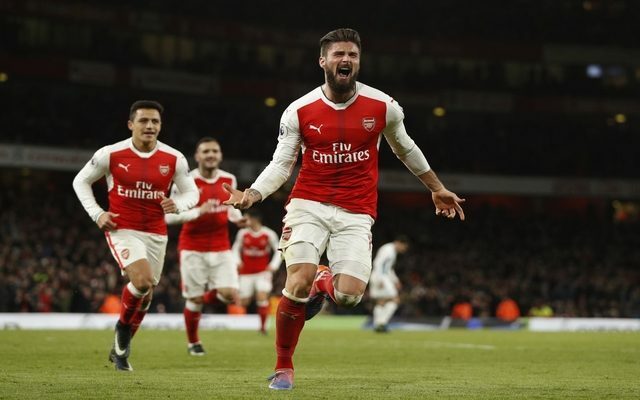 Arsenal got back to winning ways on Monday afternoon with a hard-fought 1-0 win over West Bromwich Albion at the Emirates Stadium. The Gunners were forced to leave it late though with Olivier Giroud scoring the winning goal in the 87th minute to secure all three points for his side. Despite the win, they remain nine points adrift of Premier League leaders Chelsea after they made it 12 consecutive wins with a victory over Bournemouth. Nevertheless, Arsene Wenger will be focusing on his own players and team, and he’ll be delighted to have seen them grab a morale-boosting win which could now get them back on track after disappointing losses to Everton and Manchester City left them in a real mess. On the balance of play, it was a deserved win for the Gunners as Ben Foster was called into action on numerous occasions to pull off important saves to keep the Baggies in it, while Petr Cech was almost guilty of a really costly blunder which would have gifted the visitors the win. In contrast, there was a commanding display from Laurent Koscielny as the Frenchman won 100 percent of his tackles, had a 90 percent pass accuracy and made five interceptions along with five clearances as per post-match statistics released by the Premier League. However, it will still down to Giroud to spare their blushes as he marked his first Premier League start of the season with the biggest contribution of the game. Arsenal player ratings: Cech 6; Bellerin 7, Gabriel 7, Koscielny 8, Gibbs 7; Coquelin 7, Xhaka 7; Sanchez 8, Ozil 7, Iwobi 7; Giroud 7. Substitutes: Monreal 6, Perez 6, Ramsey 6.